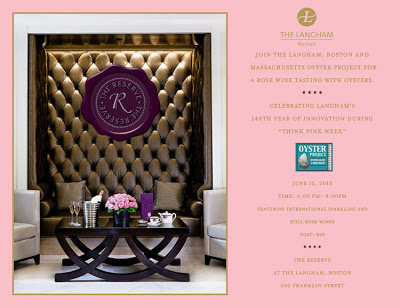 This upcoming Wednesday, the Boston Langham Hotel will be hosting an Oyster and rose wine tasting from 6:00-8:00. 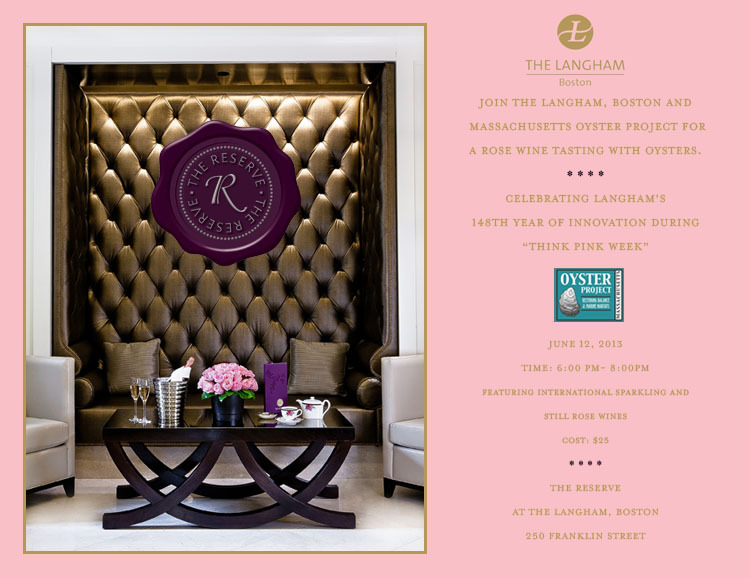 The event will be held in the newly renovated Reserve room. Event invitation $25 is the cost. The hotel is located in the heart of the financial district at 250 Franklin Street. This event could be a great way to end the day.